DiS heads to Oxford this weekend for the first Ritual Union all dayer. Taking place on Saturday 21st October, the event features over 30 acts spread across five venues on and around the city's Cowley Road area - The Bullingdon, O2 Academy, O2 Academy 2, The Library and Truckstore. Bands start at midday through til 11pm with an afterparty in The Bullingdon until 3am. DiS will also be in attendance spinning a few tunes throughout the day. This Copenhagen based trio have been honing their sound for a good few years culminating in August's debut LP More Nothing. Be prepared for acerbic lyrics, riffs galore and one of the most mesmerising half hours of the weekend. Hard to believe as it may be, Bo Ningen have been terrorising audiences for a decade now with their confrontational noise rock and if September's show stopping performance at Manchester Psych Fest is anything to go by Ritual Union is in for a treat. But you already knew that, right? It's a big week for Eyre Llew having also put out their long awaited debut Atelo on Thursday. Having just returned from a hugely rewarding tour of Korea, this teatime show at the Truckstore will be the band's last festival appearance of 2017. This five-piece have probably played more shows than most of their contemporaries since debut album Sun landed unsuspectingly four years ago. During that time the Bahrainian outfit have established themselves as one of the most innovative not to mention captivating live acts on the circuit. It's been a great 2017 so far for Josefin Öhrn having won the Swedish Composer of the Year award in February while going on to wow audiences across the globe throughout the year. Now based in London, their set at last month's Beyond The Tracks event was one of that weekend's highlights and their early evening slot in The Bullingdon promises more of the same. Southampton's finest experimental noise rockers have been making a name for themselves on their local live circuit for a while now. Come see what all the fuss is about as they open up The Bullingdon stage just after midday. With Ritual Union being one of only two scheduled UK shows this year, this rare opportunity to witness Pinkshinyultrablast at their sonically challenging best should not be missed. Currently in the process of finishing their as-yet untitled third long player, expect to hear a few unreleased songs as well as a selection of highlights from Blaster, Everything Else Matters and Grand Feathered. Based in London and featuring members from places as far afield as Korea and Sweden (obviously) as well as the UK. Swedish Death Candy's influences are as diverse as their geographical make-up, citing The Doors, Black Sabbath and Fugazi among others as inspiration for their wares. The Traams live experience is something to behold. Where angular post punk meets discordant noise perpuated by motorik beats and classic riffs. Impossible to categorise and all the more vital as a result. They're a welcome anomaly on any festival bill and one that shouldn't be taken lightly here. 2016's debut The Album Paranoia introduced the world to Ulrika Spacek's widescreen vision and this year's follow-up Modern English Decoration cemented their position as one of the most important guitar bands to emerge from the UK in recent years. 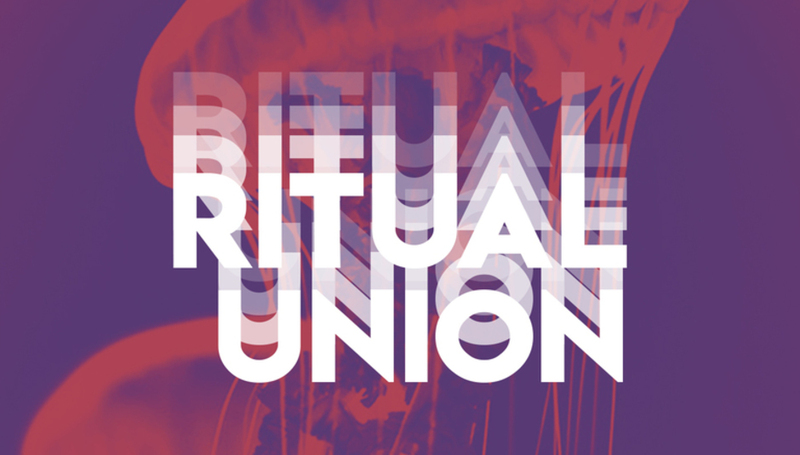 Here's a playlist featuring 20 of the artists playing at Ritual Union on Saturday. For more information on Ritual Union including full stage times and where to purchase tickets visit the official website.